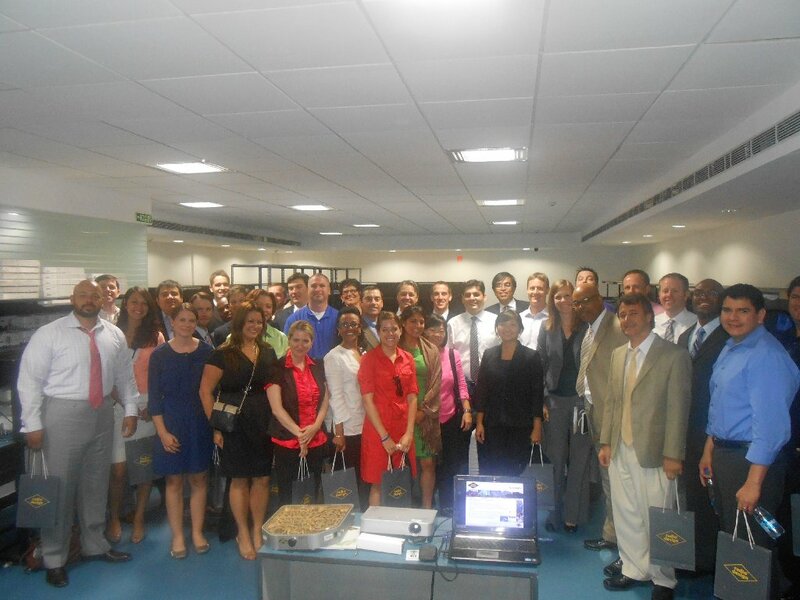 A sizeable delegation from Tulane University, New Orleans, USA was conducting a week-long international trip to meet with executives of global companies, operating in Asia and competing in developing economies, to better understand the challenges faced by these firms and how they are managing to stay ahead of their competitors. A team of 36 EMBA students visited Radio Design India on 12th June 2013, with an agenda to explore the issue: “HOW TO ESTABLISH, AND CONDUCT, BUSINESS IN INDIA“. Radio Design’s global business model was discussed and the American students were able to understand the scale of India’s operational and supply chain challenges. Other topics of discussion included the benefits of operating in India, how Radio Design has shaped its strategic planning in this phase of global slowdown and the nature of opportunities/challenges faced by Radio Design in this dynamic environment. Radio Design’s view of the global economy and how ongoing socioeconomic changes will shape the nature of Radio Design’s international business in the medium and long terms were other issues covered. The 3-hour meeting concluded positively with compliments on Radio Design’s business and strategies from various global business executives in the delegation.